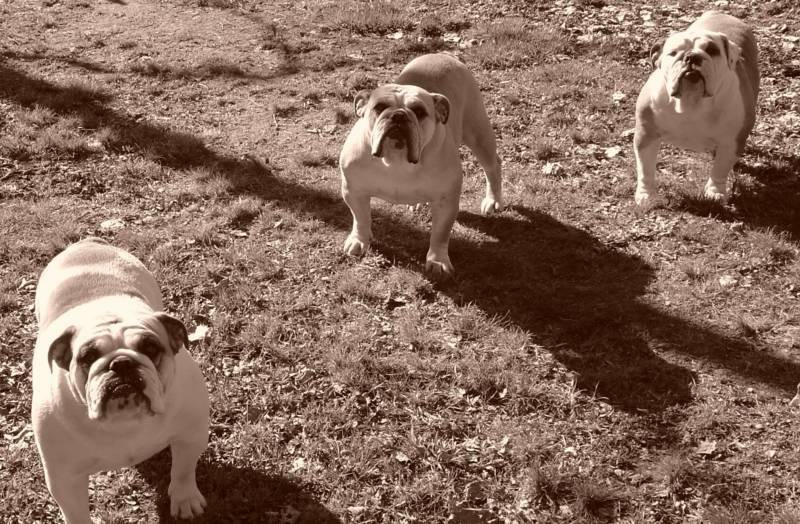 Copyright 2010 Wrinkle Ridge Bulldogs: Bulldog Breeders. All Rights Reserved. Welcome to Wrinkle Ridge Bulldogs. We are premier bulldog breeders in Minnesota and Wisconsin. We specialize in breeding registered English Bulldogs and are located in west central Wisconsin about 60 miles east of Minneapolis, Minnesota. The puppies are all home raised (no kennel or backyard operation). We have over 23 years of experience and knowledge in raising and caring for this very special breed. 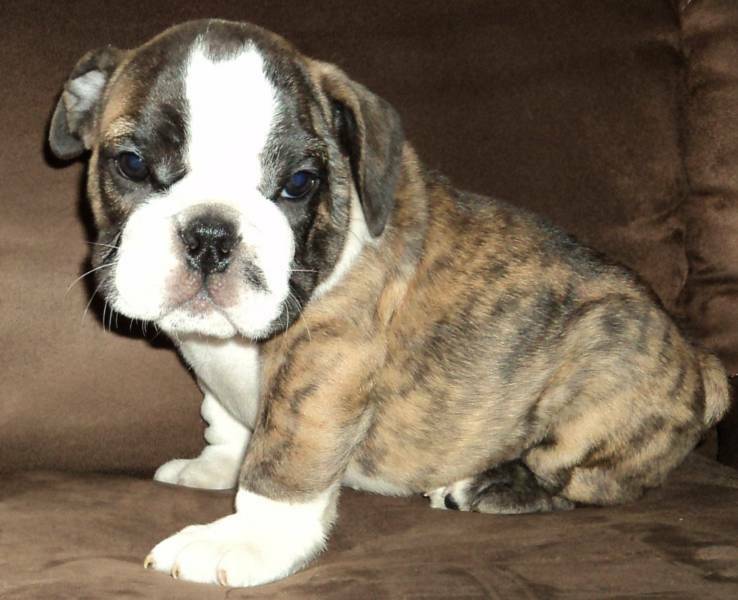 Contact us about shipping nation wide or if you are seeking a bulldog in Minneapolis or English bulldogs in Wisconsin. (1) Do the breed justice: We strive to create healthy, up to standard puppies with the "look" and design of a true English Bulldog. Quality is a top priority and we strive for perfection! (2) We find our puppies only the best homes possible: We want our puppies to be a joyful part of their new owner's life and a true family member. Only the best will do for our wrinkled friends! (3) Satisfy the new owner: With 40+ litters sold we are happy to say we have had ZERO puppies returned and have had no quarrels or cross words with ANY puppy buyers what-so-ever! Nothing makes us happier than the thought of all the smiles these pups will be responsible for causing. We love hearing back from customers telling how much they love their new friend! A word of warning.................... once you have one of these you will never want to be without one! We are committed to finding the perfect owner for each of our top quality puppies. 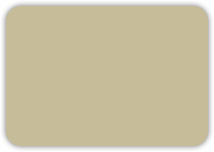 Please contact us for any questions & thanks for visiting our website. ​NEW LITTER COMING IN MAY!!! WARNING: I've been hearing of more and more scams as of late. A word to the wise....English Bulldog puppies are expensive and alot of work to raise.They require artificial insemination,a c-section at birth and supervised hands on feeding of the puppies otherwise the mother will squash or smother them accidentally.Feeding is done around the clock(nighttime included) every 3-4 hours for weeks. NOBODY is selling them for $500....scammers will steal pictures from breeders and can also hack into websites and act like they represent someone's breeding program!! !